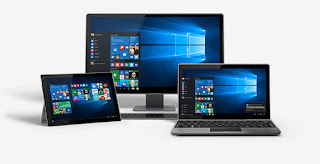 Since July 2016, the free upgrade to Microsoft Windows 10 was stopped as announced and users of the lower versions like Windows 8 and 7 will now have to pay a sum of USD 119 (approximately NGN 41, 200) in order to download and install the Windows 10 on their existing PCs. Here's the Good News! despite the closure of the deadline, you can still upgrade your existing version of Windows (Windows 7 or 8.1) to Windows 10 through the Windows 10 Free Upgrade for customers who use Assistive Technologies. This free upgrade is only available to customers using Windows 7 or 8.1 PCs. I really don't know for how long Microsoft will be allowing customers to download this for FREE but all the same, if you are yet to upgrade to Windows 10, here's another chance to upgrade your existing version of Windows either 7 or 8.1 to the latest Windows 10. I hope this was helpful, let your friends know about this FREE windows 10 upgrade despite the July headline by sharing this post via any of the share buttons you find on this page. Cheers!